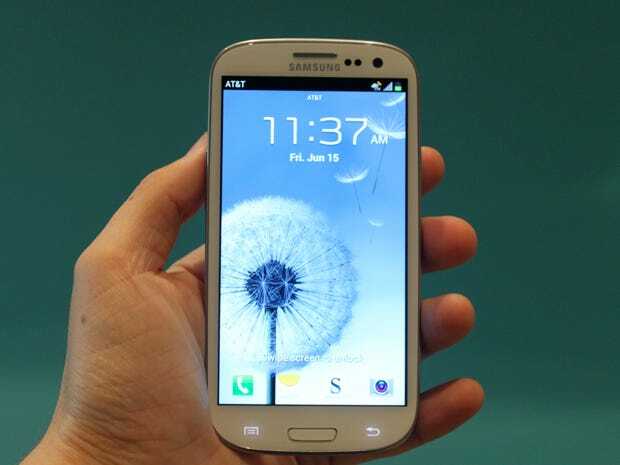 This is Samsung’s current phone, the Galaxy S III. Samsung will officially unveil its next flagship Android phone, the Galaxy S IV, at an event held somewhere in the U.S., according to multiple reports.The news started with a tweet by Eldar Murtazin, who has been semi-accurate with smartphone leaks in the past. Later, SamMobile, a Samsung-focused blog that is often correct with Samsung leaks, confirmed Murtazin’s date and said the event will be held in New York. And finally The Verge says it has confirmed Samsung will announce a new device on March 14, likely the Galaxy S IV. Not much is known about the Galaxy S IV. We haven’t seen too many leaks about its design or features, but the phone is said to have a 5-inch display and a very fast processor. We rounded up more Galaxy S IV rumours right here. Samsung is also expected to announce a new 8-inch tablet called the Galaxy Note 8.0 at the Mobile World Congress event in Barcelona at the end of the month. The report also comes a day before HTC is expected to announce its own flagship Android phone, likely called the HTC One, at a press event in New York.